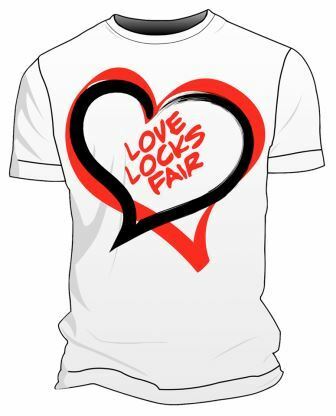 Thank you for participating in our Runner Rocky and Team Runner Rocky's "Share, Like, Tag and Win FREE Racekits" Promo to the Love Locks Fair 2017. 1. Comment below this blog post to acknowledge that you won in our promo. 2. 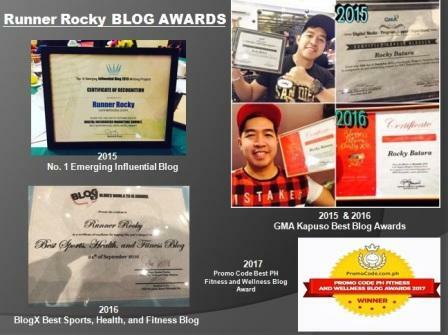 Share this blog post on your facebook wall with the hashtags #RunnerRocky #TeamRunnerRocky and #LoveLocksFair2017 with your message and tag our Facebook Fanpage for monitoring. 3. Get your FREE Racekit on the event day, February 12, 2017, 3pm at the SM By the Bay, MOA. 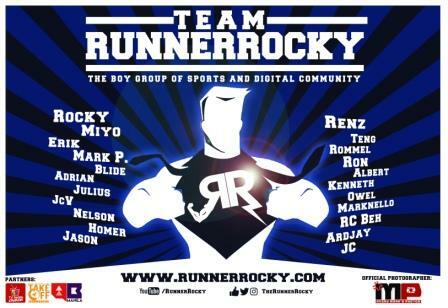 Visit our Team Runner Rocky Booth and look for me Rocky or to any Team Runner Rocky member. 4. 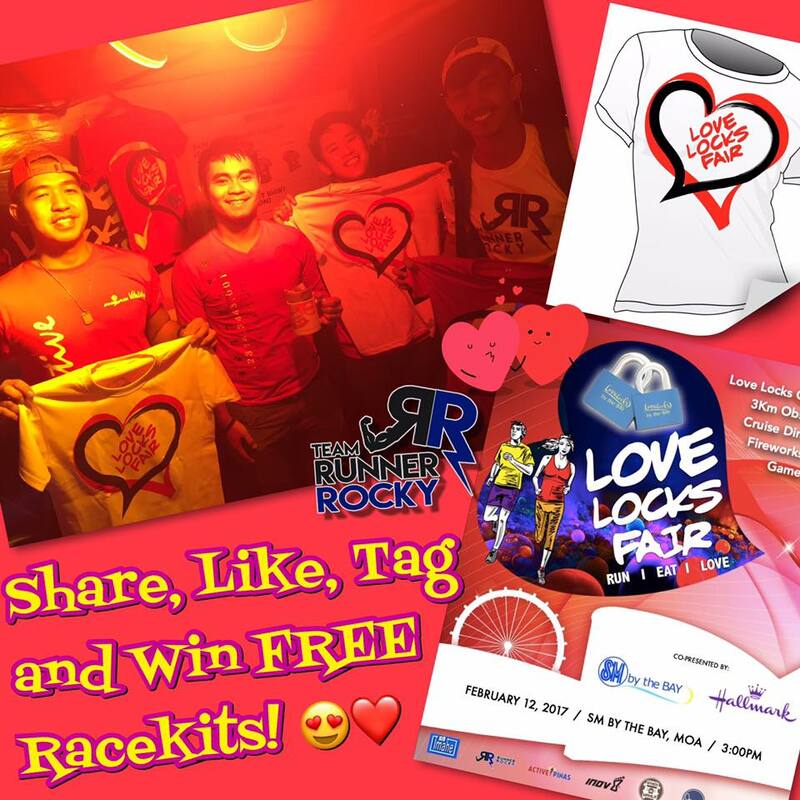 And lastly, feel free to post your photos during the event in instagram with the hashtags of #RunnerRocky #TeamRunnerRocky and #LoveLocksFair2017 and tag @therunnerrocky. Yun oh! Nakatsamba sa raffle. Thanks Rocky! Thank you Sir Rocky! :) see you there. Thank you po! Will come po sa event! 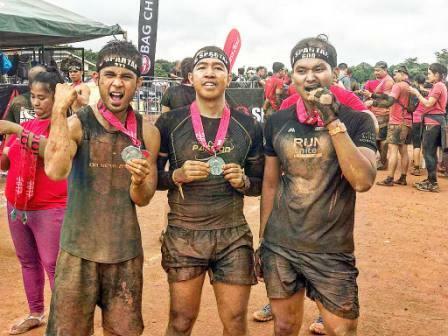 Meron po bang 3KM Drift Shirt (RED)at race bib na kasama sa free race kit? Ang nakalagay kasi WHITE CATEGORY tapos yung White shirt ang nasa photo. 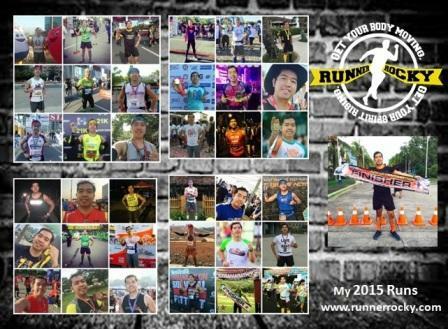 salamat sir Runner Rocky sa free racekit. paano po i claim ung racekit? Salamat Sir Runner Rocky sa free racekit.paano po i claim?